WHY USE B2B Replication ? B2B Replication has more than twenty years experience as a professional replication service provider. Over this time we have based our success on our unparalleled accuracy, unrivaled customer service and account managers that personally manage your job from start to finish. As a UK based replication broker you can rest assured that with B2B Replication your pressed CD’s and DVD’s will be delivered on time and produced to the very highest of standards. As experts in DVD Replication and CD Replication we can help guide you through the whole production process. Whether you need CD Replication, DVD Replication, large run litho printing, standard retail packaging or even bespoke card packaging designed here at B2B Replication, we can guarantee that you will find everything you need here at our specialist brokering disc factory. Our promise and guarantee comes in the form of B2B Broker protection, a unique guarantee that offers our customers extra security when using our brokering services. For more information regarding B2B replication broker protection please click and follow the the link below – B2B Broker Protection. 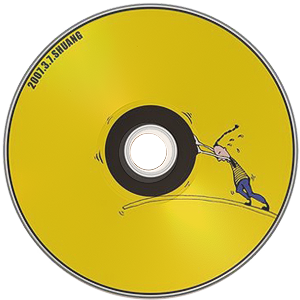 Are you ready to get your instant quote for CD or DVD production and have your project professionally replicated? Contact us today for your competitive real time quote! If you have any questions regarding our large Run litho printing service than please contact one of our highly trained team members who are available Monday to Friday from 9am to 6pm. They will be more than happy to help answer any questions you may have about your disc production. Very quick service and customer support is brilliant, thanks for all your help Sam! Best replication company I have used to this date. The customer service is second to none! I will be recommending B2B to everyone. Lovely people to work with and the quality of the album was the best so far. Hopefully I will be back for more soon. 1000 Pre printed DVD’s ready for burning in under 3 days! Amazing service and great speed. My new album arrived today and I can definitely say that I am very impressed with how it has come out. I will be back for more! I wanted to say a huge thank you to all of the team down at B2B Replication, my album looks and sounds epic! B2B Replication offers a wide range of specialist optical media fulfillment services, this includes CD Replication, DVD Replication, Blu-ray Replication, large scale litho printing, paper parts printing and assembly of components into packaging. These services, performed to the highest industry standards, are what make up B2B Replication services. B2B Replication is a UK leading provider of optical media replication services, our disc factory has been pressing content, printing and packing up for over 20 years. The Replication service we offer is primarily used by businesses, record companies and artists alike who want to distribute and sell their own content. Whether you need something as simple as a replicated CD in a poly wallet or as complex as a custom digipack design with unique features, B2B Replication can help you. We make sure that we take the time to go the extra mile. We are based in Belvedere, Kent which is just on the outskirts of London, offering London replication services to customers across the UK and Ireland. B2B Replication is more than just a replication house; we are a company that strives to offer the best quality, production for our customers – as well as the best service and price. 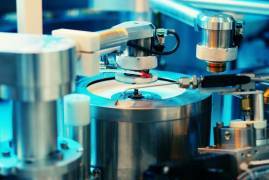 As a CD replication plant we know how much work goes into Audio CD, Video DVD, Games and Software Releases and also how personal projects can become. This is why we care for our customers the way we would want to be cared for; the personal touch goes a long way. Taking extra attention to detail and making sure the customer is happy and informed throughout the whole replication process is of utmost priority. B2B Replication is renowned for having one of the quickest turnaround times for CD and DVD replication in the industry; quoting 7 to 10 working days for most injection molded mass production. To compliment the rapid replication service we also use the highest quality materials in our manufacturing. We only use the best quality cases for our production, all of which are machine pack-able grade. Our cases are all Japanese molded and fully ROHS compliant; we firmly believe in quality and feel that is one of the core reasons our customers choose us for CD and DVD packaging time and time again. In optical disc manufacturing, CD replication is the process of mass producing discs very different from the conventional method of burning and printing recordable media. 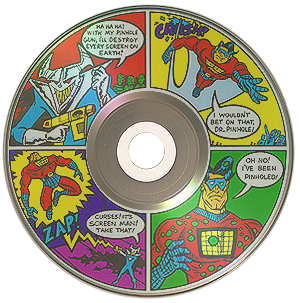 CD Replication is a pressing process that creates identical copies, otherwise known as replicates, of the content. The stamper mould is created from an extremely accurate mould, known as a glass master, that has the binary data (0’s and 1’s, represented in pits) etched into it by a machine, known as a Laser Beam Recorder, that is essentially a larger, much more accurate CD recorder. It’s this stamper is given to the injection moulding machines that create an exact replica of the content as a CD. The process of replication means you can rely on the quality of each and every copy produced, the discs are than printed and packed by machines which in turn means that each one of the copies made is factory fresh. 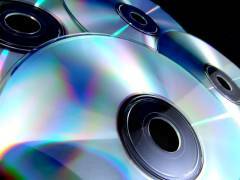 DVD Replication is the process of mass producing DVD’s, the process involves injection moulding which produces identical copies of the DVD content. Just like in CD Replication, a glass master is made from the original master content, it’s this glass master that is then used to create a stamper of the content. 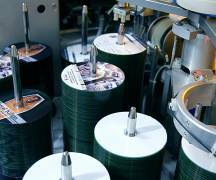 The stamper is used in the injection moulding machines to create an exact replica of the content as a DVD. 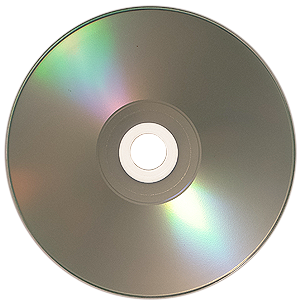 The DVD Replication service we offer is very quick and guarantees a consistent quality throughout each batch of discs; ensuring you have peace of mind that every DVD will look and play perfectly. © 2019 B2B Replication. All rights reserved.